Simon Tango, aka « Carole ». Former goalkeeper in the national football team from 1966 till 1972. First called The Lions, the national team suffers a stinging defeat against the Ghana Black Stars. Humiliated, Mobutu gathers the best Congolese players and constitutes a new national team called The Leopards. Carole is part of the team’s first successes at the Africa Cup of Nations in 1968 and plays the team’s first game as Zaire back in February 1972 in Cameroon. Two years later, Zaire wins the Cup in Egypt. “During the Zaire years, football players were pampered. Today, former players are totally abandoned”. Makengo Illenge. Born in 1936, Bandundu province. 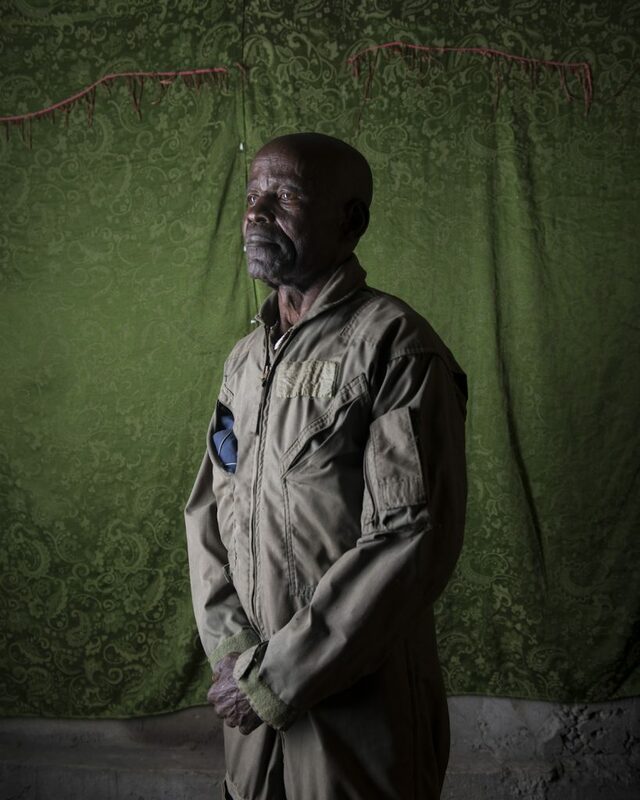 Police officer trained by the Belgians, Makengo enlists in the army in 1959 and starts a career as a nurse in the air force. In 1964, he is sent to Stanleyville (Kisangani) during the war against the Simba. 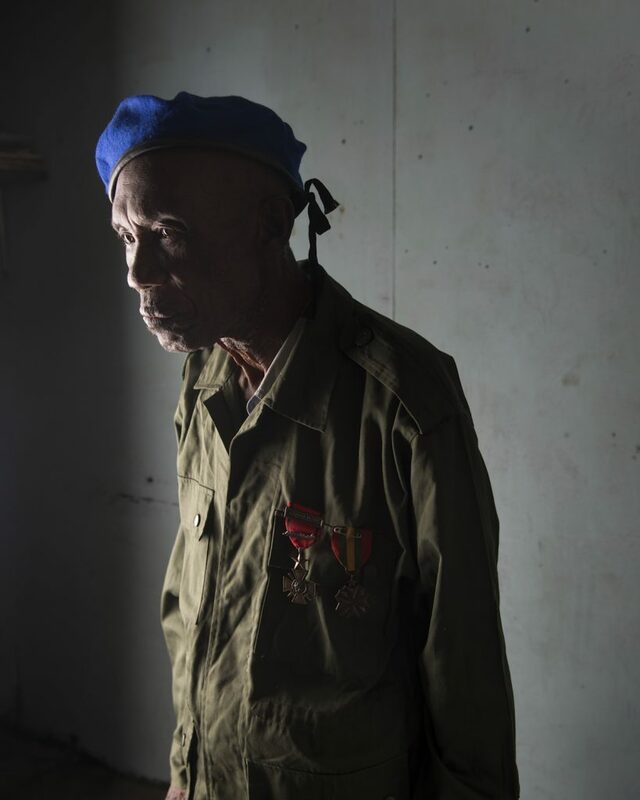 He then takes part to the first and second Shaba wars (former Katanga province) from 1977 to 1978 that sees the FNLC (Front for the National Liberation of the Congo) fighting Mobutu with support from Angola and Cuba. 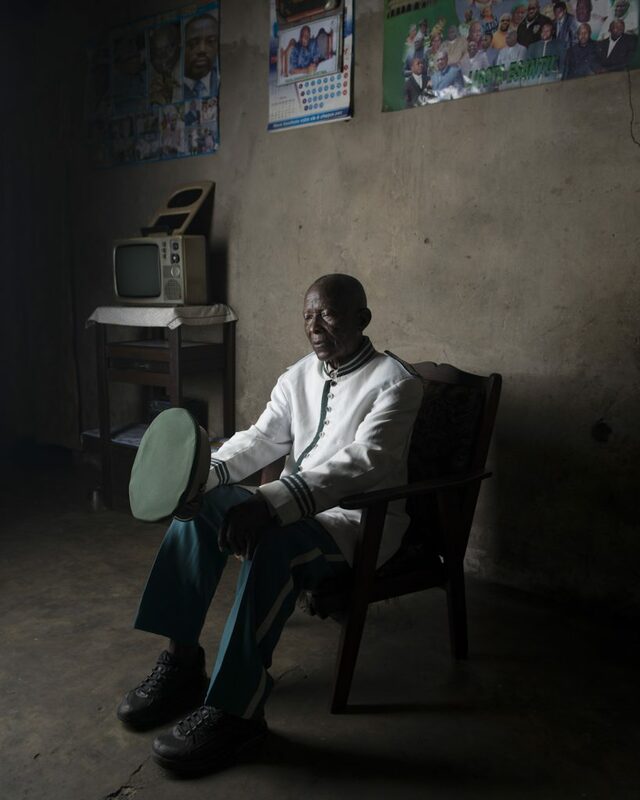 He is then sent to Beni (North Kivu) as head of infirmary for three years before coming back to his wife and children in Kinshasa, where he still lives today. Interviewed on 22/11/2015. Posed portrait at home. Masamba Toukala Kiese, carpenter and member of the Kibanguiste marching band. 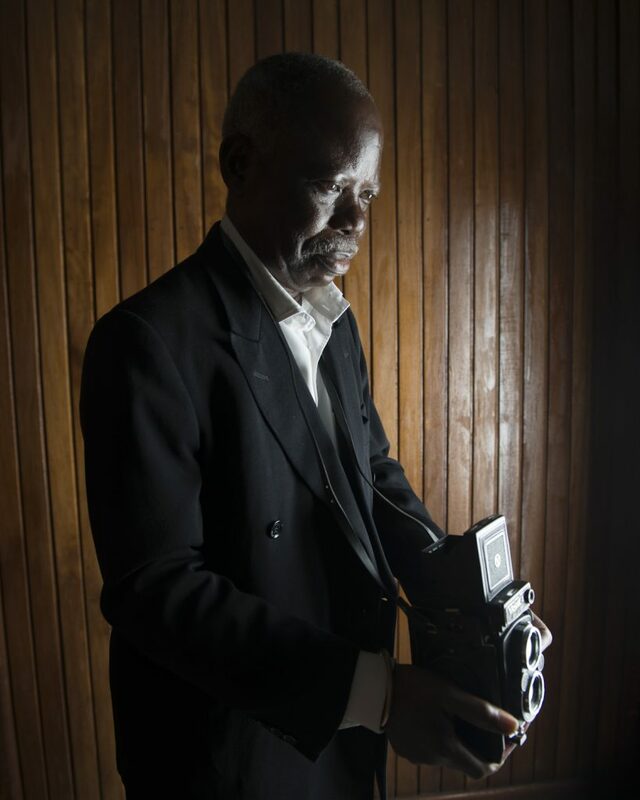 Born in 1931 in Mbanza Ngungu, he settles in Leopoldville (Kinshasa) in 1963. The city undergoes a booming demography and needs workforce. In 1983, Mobutu sends him and a hundred workers to Mbandaka to build a palace in his native province capital city. Masamba stays there eight months. On the official opening, the president gives him a merit medal. “Mobutu was a good and evil man at the same time; if he liked your work, he would cover you with money. But if you displeased him, it turned very sour”. Interviewed on 15/11/2015. Posed portrait at home. 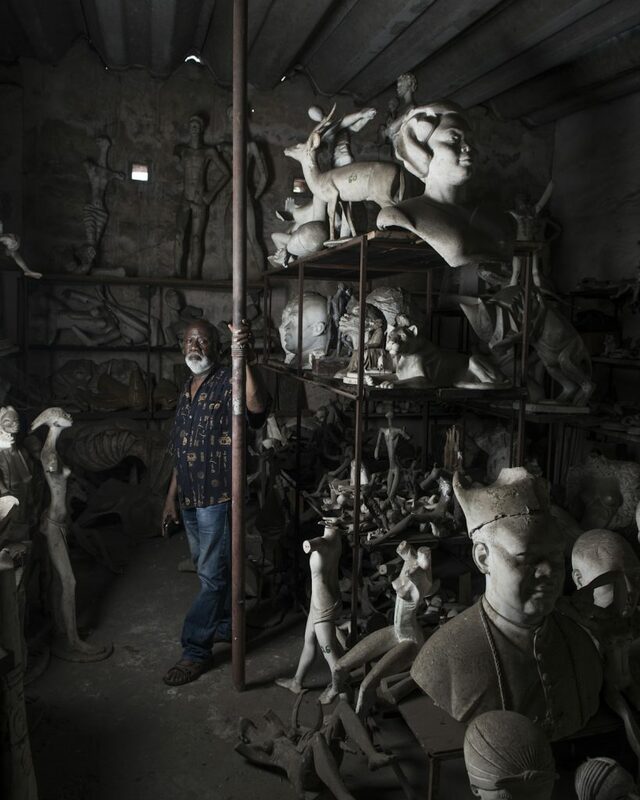 Modeste Eboma Makundu was born in Mongbenbe in 1954 and starts his career in the young post-colonial administration. 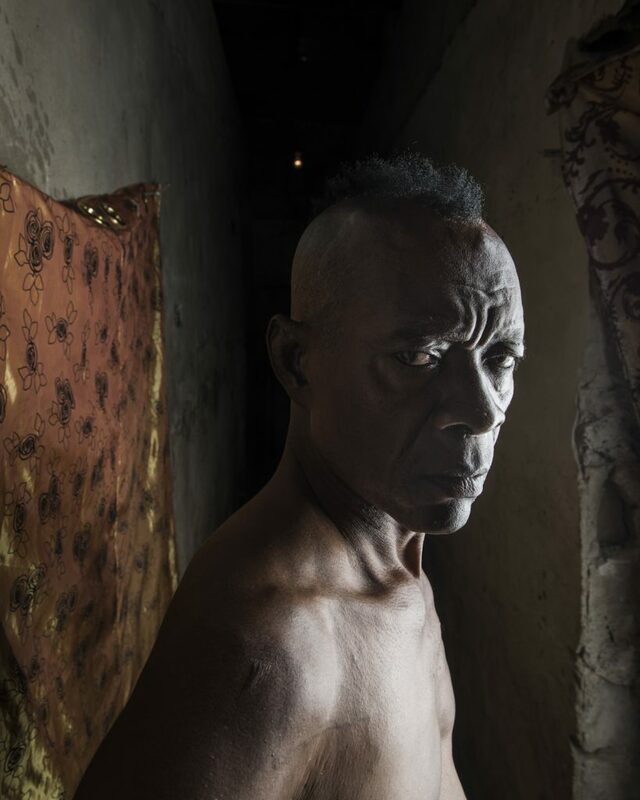 Close to the Mobutu family in the Equateur province, he gets a job in a German soap and oil company. 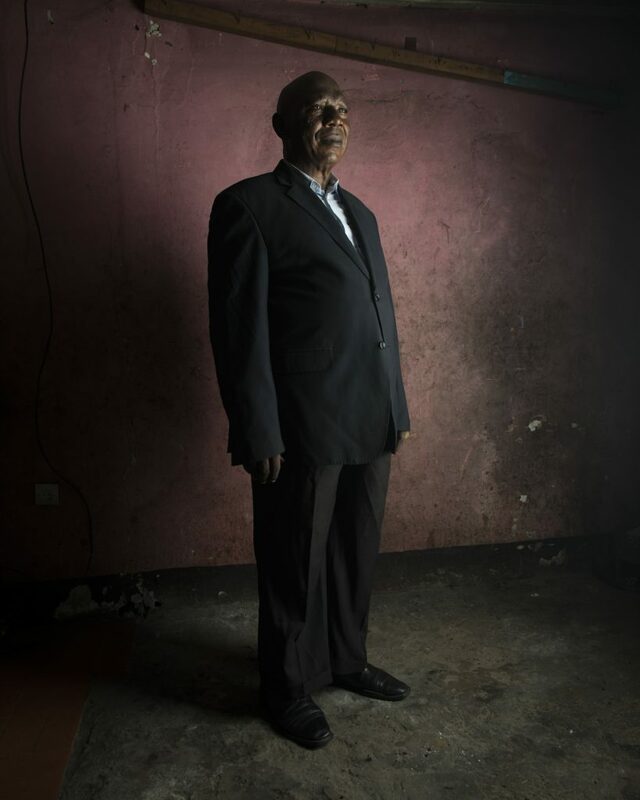 After a short stay in Germany, he settles in Kinshasa where he “becomes” an elected member of the MPR (Popular Movement of the Revolution) in the city’s Kimbanseke administrative district. In 1991, as Mobutu opens the country to multipartism, he creates his own party, the PADER, which isn’t a great success. In 2006, he joins forces with Nzanga Mobutu and founds UDEMO (Union of the Democratic Mobutists) as its vice president. 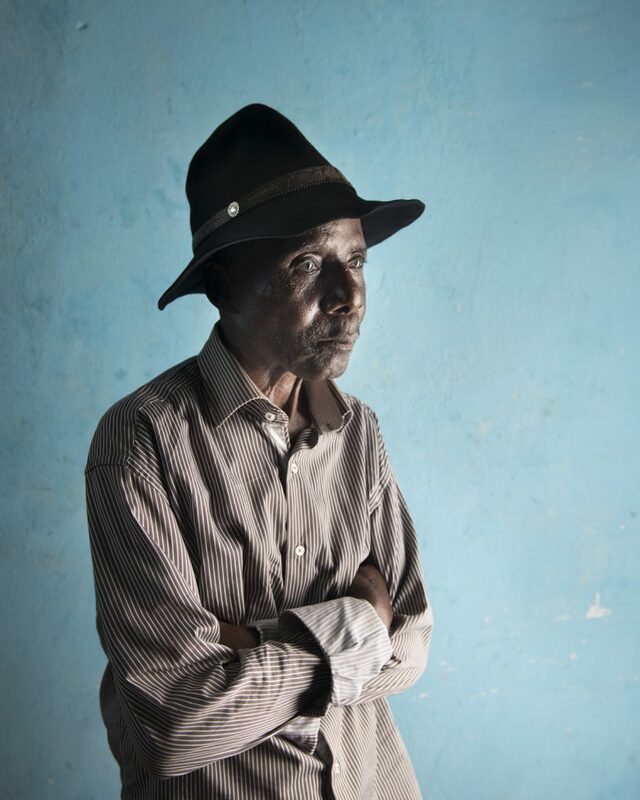 Bikunda Buele Nzoko, said “vieux Bikunda”. 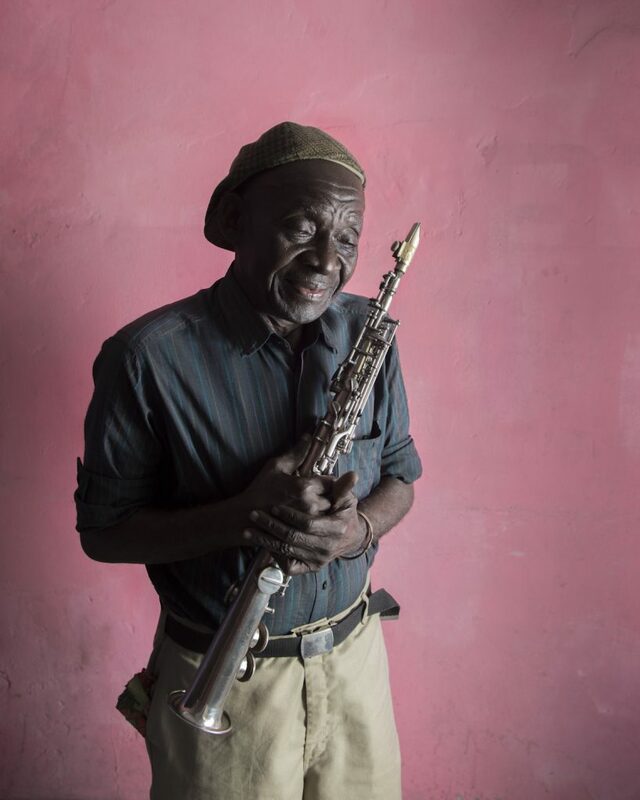 Born in 1939 in Leopoldville of fishermen parents, he starts his career as a musician for the Watana group at age fourteen, playing the maracas with Dewayon and Franco. The second pushes him to take on the guitar. After several tours in Europe, he founds the Victoria Bakolo Music in 1998 on rumba-star Wendo Kolosoy’s request. One of Mobutu’s favourite, the band regularly performs at the national palace of Gbadolite (Equateur province). After their leader’s death, the Bakolo Music continues to interpret their classics as Marie-Louise in the capital city’s clubs. Interviewed on 10/11/2015. Posed portrait in the rehearsal room. Cesar Sinda, former boxing champion. Born in 1948 in a family of twelve, Cesar becomes a boxer after his sister got attacked at school. He becomes a national champion in light weights and is then awarded champion of Africa in Zambia. Upon his return in Kinshasa, Mobutu is away but leaves specific instructions for a house and a new car to be given to the champion. Cesar will never see the colour of it all. In 1969, he is sent to Mexico’s Olympics. 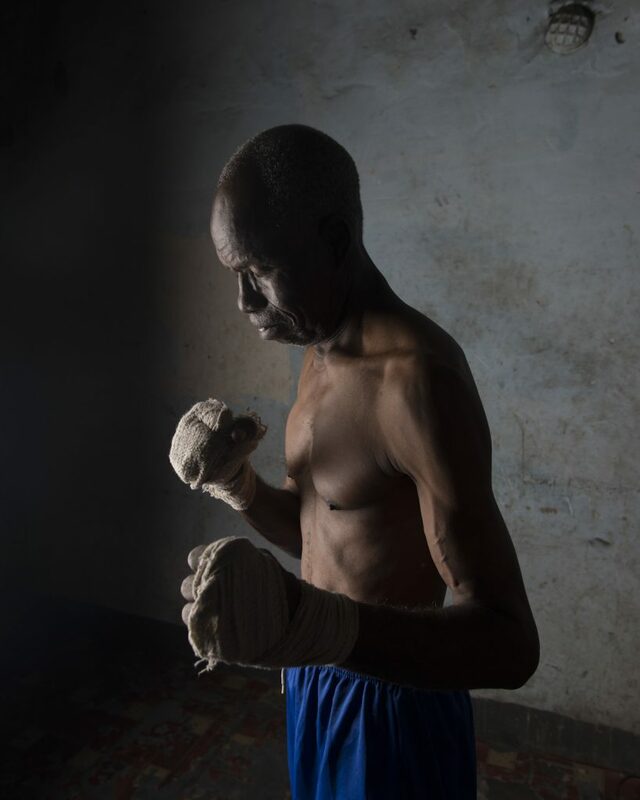 When Mohamed Ali arrives in Kinshasa, Cesar Sinda is in the United States hoping to follow a proper professional training to become a world champion of light weights. Gone with 6$ in his pocket, a New York pastor takes him under his protection and officially adopts him. After several defeats, his career takes off at last. 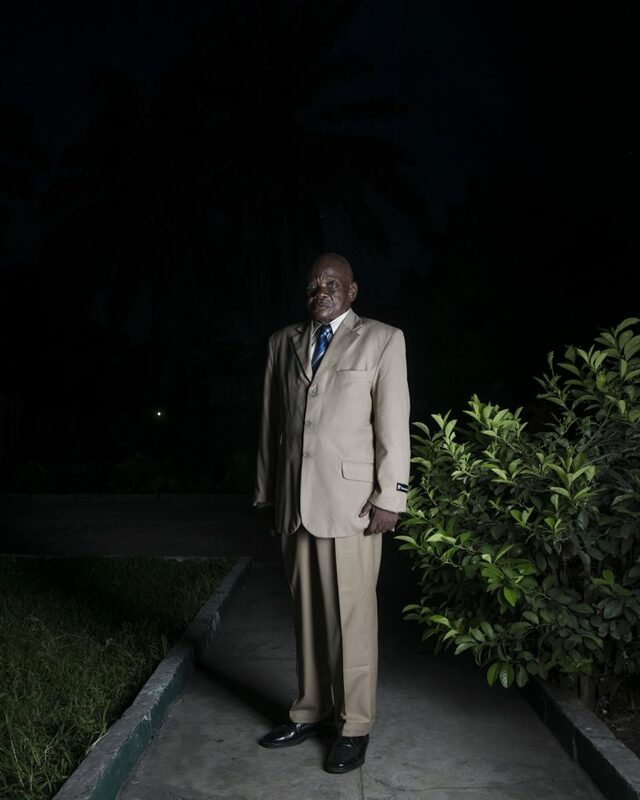 But in 1978, he returns to Congo to bury his father. His sister dies several months later and his passport is stolen. He then decides to stay in Kinshasa and becomes a trainer. Mobutu decorated him of the Order of the Leopard. Edingwe, fetishist wrestler. 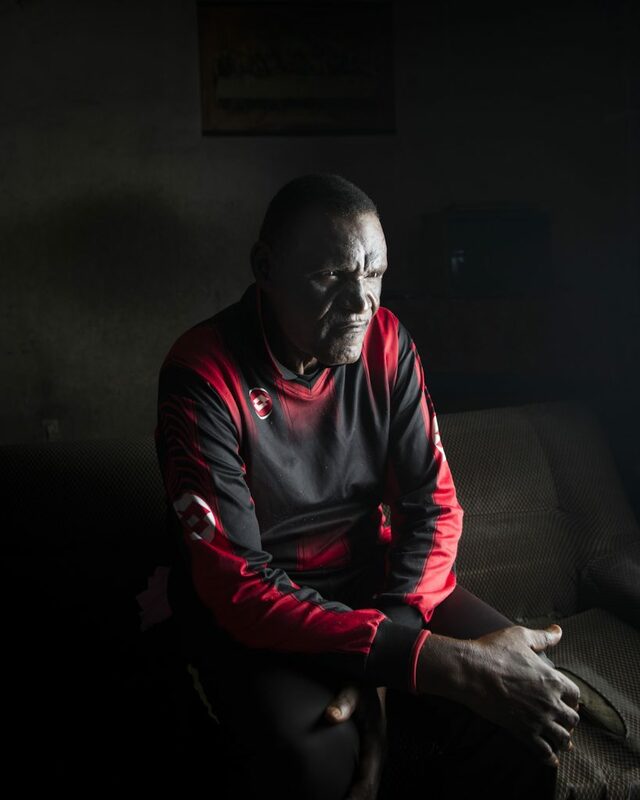 As a leader of Zairian wrestling in the seventies, Edingwe “moto na ngenge” (the almighty) brought fetishist wrestling into Zaire’s streets. True live legend, the “smoking engine” is widely known for tearing his opponents’ bowels apart during fights. He terrifies the younger audience using black magic and lucky charms, and they become common feature on the capital city’s wrestling rings. Despite its slow decline, wrestling still has some sort of ongoing success in DRC today.